What other way may one flip over the calendar than being in a state of happiness, humility and genuine gratitude, encouraged by the realization that one’s actions are still serving as blessings to several other young people and societies in Africa and across the world. It is indeed humbling and ‘graceful’. The last three days – till now – have been filled with severely intensive growth and learning experiences as we engaged the fourth cohort of our annual youth leadership programme, Studership. Each day has been unique both for participants – numbering about a hundred from nine countries – and our faculty. Considering the quality of discuss and daily feedback from the young leaders participating in the ‪#‎Studership‬ 4.0 Leadership Programme, I remain optimistic that it is possible to enhance our world with young people being empowered and committed to consistently creating value by solving most of the biggest challenges we face, without comprising on integrity and other values. Going forward, few hours ago, I got informed of my emergence as the Winner of the 2015 African Youth Awards for Excellence in Leadership. Another graceful experience. This honour is made possible because of people like you who believed in possibilities. People like you whom truly are passionate about making systems work and encouraging responsible and value-based leadership. People like you who showed love and responsibility, through your thoughts and actions. Thank you. Today, as we plan towards the next eighteen-score and few days, I come forward, with a humble heart to celebrate you. Our team at AllforDevelopment celebrates you. 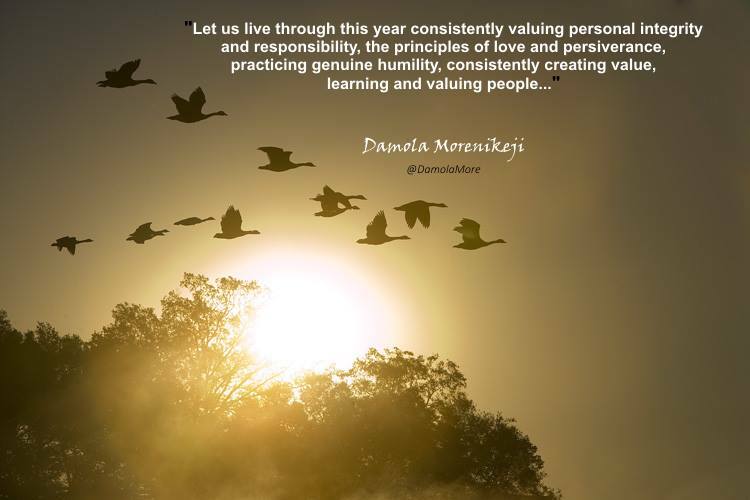 Do not let us relent; let’s live through this year consistently valuing personal integrity and responsibility, principle of love and perseverance, practicing genuine humility, consistently learning and valuing people / relationships. We can all make Nigeria, Africa and the world a better place. Accept my felicitations on your great endeavours this ‘new’ year, as you work towards it! I look forward to your ‘testimonies’ soon!